While the majority of students were probably catching up on sleep, a group of UBC students met early Sunday, October 1, at the trailhead for Kennedy Falls to embark on a five hour hike. 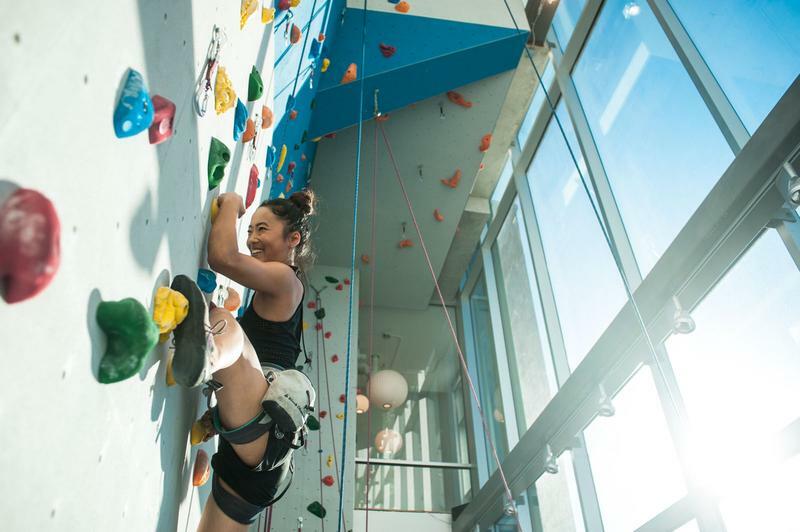 These students are part of a unique outdoor club on campus — SisuGirls of UBC. The club is based off of an organization in Singapore that strives to empower women through outdoor sports. The term Sisu itself, as explained on the club's website, is actually a Finnish term loosely translated to "strength of will, determination, bravery, perseverance and acting rationally in the face of adversity". Mitchell acknowledged that many of their events are similar to those offered by other clubs on campus — like the Varsity Outdoor Club (VOC) — but said that she thought they were a good complement to their programs. Mitchell said that in the past, they have done things such as starting at a trailhead that leads to two or three different hikes of varying difficulty to accomodate all levels of hikers. They also host a variety of events, such as learning to skateboard or doing yoga on wreck beach. Mitchell also said that while the group is based off of and named after an organization that is only for girls, the club is open to all genders. “Yes our mission is to empower, but anyone can have that mission, whether you identify as a male or female … so everyone, no matter what you identify as, can just join the club and try something new,” said Mitchell. SisuGirls' next event will be a run/cycle of Stanley Park on October 15 at 10 a.m.